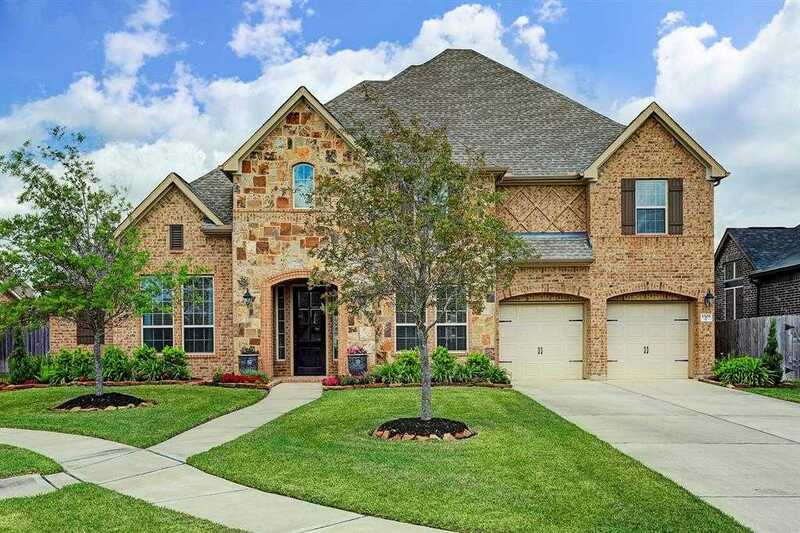 THIS IMMACULATELY DESIGNED HOME HAS 5 BEDROOMS, 4.5 BATHROOMS, 3-CAR GARAGE, AND A LAKE VIEW ON AN OVERSIZED CUL-DE-SAC LOT IN BEAUTIFUL HIDDEN LAKES. HOME FEATURES 2-STORY FOYER AND FAMILY ROOM, PLUS FORMAL DINING, STUDY, MASTER BEDROOM AND GUEST SUITE DOWNSTAIRS. UPSTAIRS ARE 3 ADDITIONAL BEDROOMS, GAME ROOM AND MEDIA ROOM. THIS COVENTRY HOME HAS DESIGNER FIXTURES AND FINISHES THROUGHOUT, INCLUDING GORGEOUS WOOD AND TILE FLOORS, EXTENSIVE CROWN MOULDING, BUILT-IN BOOK CASES AND A GAS-LOG FIREPLACE. THE GOURMET KITCHEN FEATURES AN INCREDIBLE ISLAND, GRANITE COUNTERTOPS, STAINLESS STEEL APPLIANCES, A GAS COOKTOP AND DOUBLE OVENS. THE LARGE MASTER SUITE BOASTS A SPA-LIKE BATHROOM AND IMMENSE CLOSET. THE OVERSIZED COVERED PATIO IN THE BACK OVERLOOKS A PRIVATE BACKYARD WITH NO BACK NEIGHBORS THAT IS JUST WAITING FOR YOU TO BUILD YOUR DREAM POOL. THIS DREAM HOME IS LOCATED WITHIN A SHORT WALKING DISTANCE OF THE NEIGHBORHOOD REC FACILITIES AND IS ZONED TO ACCLAIMED CCISD SCHOOLS.